Saavn Review - Why It is Better than Other Digital Music Distributors? Nowadays, every week a new album is getting released and our music collection is growing more than ever. It is impossible to keep a track of everything and download all music at once. Now we have a variety of online music streaming services such as Saavn, Gaana, Apple music, Hungama, Wynk Music, Google Play Music, etc. All these services also allow you to download songs for offline listening when you have no internet connectivity. 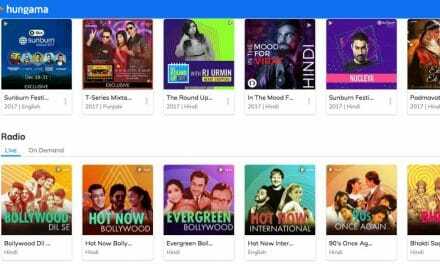 Saavn is a US-based digital music distributor in 15 different languages such as English, Bollywood and other Indian regional languages. It was founded in 2007 and reach over 200 countries. 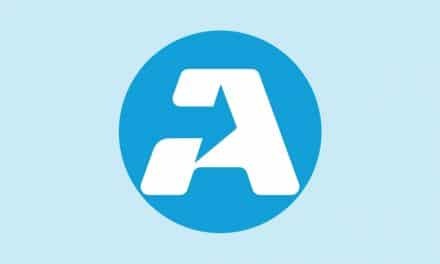 It has partnered with many big companies such as Shazam, Twitter, Facebook, Sony, T-Series, Tips, Unisys, Warner, EMI and many others. When it comes to Saavn, you think of Indian music, especially Bollywood and other types of Hindi music. But that does not mean that it does not have English or other foreign language songs. There is an excellent collection of international music on Saavn. In a way, it has something for everyone. In this article, I will provide you with an in-depth review about Saavn from different angles such as music collection, website and app interface, free and paid subscription, Ad experience, etc. It pretty easy. Go to any browser and open its website. It does not matter whether you open on a portable device or a desktop, you will have the similar experience. In short, the site is mobile responsive. If you are hitting upon its portal or application for casual or occasional music listening, then you do not require to sign up with Saavn. However, I recommend everyone to make a profile on Saavn as it gives you benefits like playlist creation, liking a song, sharing your song, etc. You cannot download songs without having paid subscription with Saavn. It also has an application for Windows, iOS and Android platforms. As usual, Saavn application is far more intuitive and user-friendly than its website portal. The site has a greenish feel all over the place, which is kind of sober and cool. The top bar has an interesting option of Song Map which will show you what people are listening to across the globe in real time. Then you have options such as Browse, My music and Radio. As you scroll down, you see the Radio option, which has non-stop songs categorised by artists, playlists, etc. Lastly, you will see latest release song tiles. However, I was looking for more options on home page such as popular playlists options, latest released albums or movies, International charts, etc. But I was kind of disappointed with its website’s homepage. On the other side, Saavn application has a better homepage compared to its site. As soon as you fire up its app, things like New & Trending, Radio Stations, Keep listening, Top Shows, Charts, Browse & Discover, etc. come in front of you with a scroll. The moment you scroll, a navigation bar attaches to the top bar which has quick links to music, lists, radio and browsing. I found this option cool. Overall, I am OK with UI and see a lot of scope for improvements. I will rate it 7/10. Saavn is a commercial music streaming service which allows any user to stream music at no cost. Its revenue model largely depends on advertisements, and yes, there are Ads here and there on its website as well as application. I did not find any advertisement in between songs, but I saw full-screen Ads, which was irritating. I have no issues with Ads but then too much kills your mood. 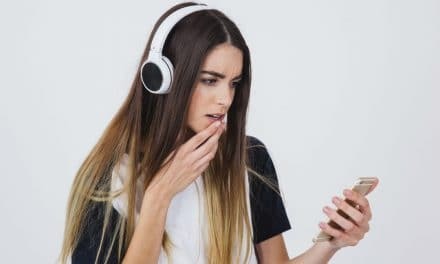 Although, if you go with Saavn Pro then you will have the ad-free experience and also you will have an option to download unlimited songs for offline listening without any need of internet. Gaana and Wynk have the edge over Saavn when it comes to advertisements. I will rate it 6.5/10. 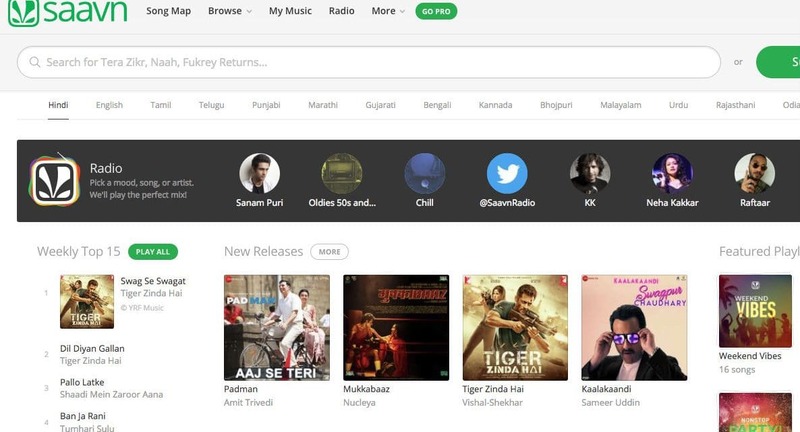 Saavn has over 30 million music tracks in 15 different languages. The number is impressive. If you alone talk about English records then you can find famous artists such as Selena Gomez, Eminem, Justin Bieber, Taylor Swift, Ed Sheeran, Akon, Martin Garrix, David Guetta, etc. Hindi is its speciality, and you will not be disappointed with the collection of songs by artists such as Arijit Singh, Jagjit Singh, Neha Kakkar, Shreya Ghoshal, KK, AR Rahman, Armaan Malik and many more. Trust me; the list is never-ending. Apart from individual songs and artists, you get to play specially curated playlists with pre-selected songs. Some of them are Now Playing Pop, Most Romantic Hits of 2017, Biggest EDM Hits of 2017, EDM Night out, New Music This Week, Love Hurts, Weekly Jukebox – Party, etc. You can also create your playlist and make it public for others to make use of it. I will rate here 8.5/10. Quality of music varies with the kind of subscription you have on Saavn. If you are a free user, then you would get to stream at 128 kbps bit rate, which is radio music quality. The moment you opt for Saavn Pro, you can stream and download songs which can play up to 320 kbps bit rate. I will rate here 7/10. Saavn does have an inbuilt music player. It has all the basic options such as play/pause, next, backward, shuffle and loop. Apart from this, you can change equaliser settings, add songs to the queue, download songs and add songs to a playlist. You can also play locally stored songs on your smartphone through its music player. This option is missing in similar apps such as Gaana. I also expected Lyrics from such a big music service like Saavn as its close competitors like Gaana and Apple music have the feature. Hence, I will rate here 7.5/10. Summary Saavn is the first Hindi or Bollywood digital music distribution services. It is a US-based company which serves music in 15 different languages such as English, Bollywood and other Indian regional languages. Its app and website have a sober user interface. The music collection is massive and has over 30 million songs. You can stream free music but need a paid plan to download tracks. It has 7-days trial to check out its features. Overall a must app for music lovers.